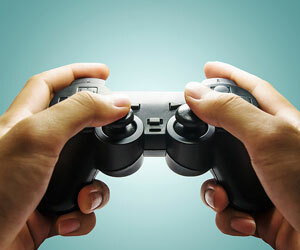 Playing action-based video games may boost players’ ability to coordinate incoming visual information with their motor control, a skill critical to many real-world behaviors including driving, new research shows. The findings are published in Psychological Science, a journal of the Association for Psychological Science. “Our research shows that playing easily accessible action video games for as little as 5 hours can be a cost-effective tool to help people improve essential visuomotor-control skills used for driving,” says researcher Li Li of New York University Shanghai, lead author on the study. Experience playing some types of video games has been shown to confer benefits for specific visual abilities, such as sensitivity to contrast and visuospatial attention. Despite the fact that many video games place high demands on visuomotor abilities, little research had investigated whether playing such games was associated with visuomotor control. Li, with co-authors Rongrong Chen (The University of Hong Kong) and Jing Chen (The University of Hong Kong), devised a series of studies to explore the possible link. Using a driving simulation, the researchers compared the visuomotor abilities of experienced players of action video games (those who had played at least 5 hours per week over the previous 6 months) to participants who had negligible action video game experience. The participants saw a display that showed a simulated road with lane markers. In three 95-second trials, they were tasked with steering a virtual vehicle down the lane, straying as little as possible from the center while compensating for crosswinds that affected the direction of the car. Participants’ performance on the task showed that experience mattered: Experienced action gamers showed much greater precision in keeping to their lane, and showed less deviation from center in the face of increasing headwinds, when compared to the participants with little to no action video game experience. The researchers saw similar results when they tested participants on another visuomotor control task that involved using a joystick to keep a target dot from floating away from the center of the screen. To establish a causal link between action video games and visuomotor control skills, Li and colleagues recruited participants who had no action video gaming experience to take part in a training study. The participants were randomly assigned to either an action video game group or a control group, and they completed a total of 10 1-hour training sessions. The action video game group trained by playing Mario Kart, using a steering-wheel controller to drive a go-cart on a track. The control group played Roller Coaster Tycoon III, using a mouse and keyboard to build and maintain amusement parks. The two games featured similarly complex visual scenes and were both relatively easy to learn. Importantly, the two groups showed similar levels of engagement with the games and similar improvement in performance over time. The data showed that playing Mario Kart, a fast-paced action video game, improved participants’ visuomotor control skills on the target dot task after 5 hours of training; they showed even greater improvement after 10 training sessions. Those who played Roller Coaster Tycoon, a non-action strategy game, showed no such improvement over time. Additional data showed that visuomotor benefits weren’t limited to action games that involve driving. In a similar study, the researchers found that participants who had no action gaming experience also demonstrated improved visuomotor control after playing Unreal Tournament, a first-person-shooter (FPS) game. Intriguingly, the two kinds of action games had different effects on specific aspects of visuomotor control, suggesting that they may be suited as training tools for somewhat different audiences. This study was supported by two grants from the Research Grants Council of Hong Kong (HKU7482/12H and HKU 7460/13H) to L. Li.